Enjoy a true country breakfast every morning – you are going to love your breakfast provisions. A generous serving of sausages, bacon, mushrooms, hash browns, eggs, tomatoes as well as cereals, juice, milk tea, coffee, hot chocolate, marshmallows and our yummy freshly baked homemade bread every morning. 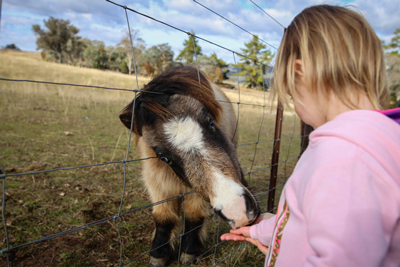 Every morning, you are welcome to help us feed all our farm animals. You won’t believe how many animals we have for you to fall in love with – horses, sheep, chickens, ducks, geese, lambs, dogs, cats, birds, donkey and 3 gorgeous pigs – one of which is our very own TV Star “Wilbur”. 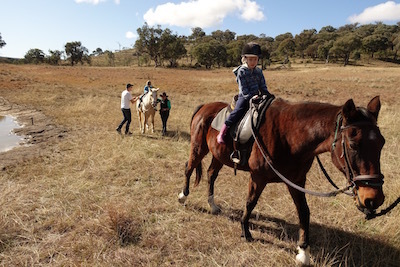 All children (no age restriction) are given up to an hour led horse ride everyday as well as lots of introductory led horse riding instruction and horsey time. Nervous children are our speciality and with a maximum of only two families staying with us at any one time, we can guarantee lots of wonderful time spent with you and your children. We can now also offer led horse rides to adults (I know that you can appreciate that weight restrictions do apply) – For all those who have had a terrible experience or are nervous with a horse – you are going to love your ride with us. 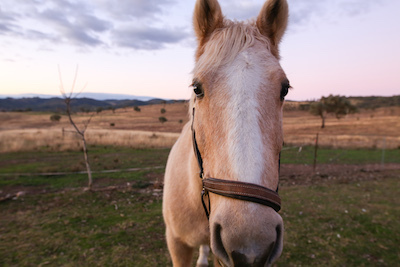 We can guarantee a wonderful experience with our horses. Who remembers freshly baked afternoon tea? Scones, biscuits, cakes etc – when you visit us, you are going to be totally spoilt with homemade goodies every day. Children (and adults) are welcome to help me bake afternoon tea in the homestead kitchen every day and then enjoy at your leisure afterwards. I have lots of yummy recipes and I look forward to sharing them with you. Complimentary Kid’s Club operates every day from 1pm to 5pm. Parents are welcome to go out for lunch, visit local wineries or just have some quiet time together while children will be safely looked after by us with lots of fun activities to enjoy. I have my Child Safe Accreditation and I am a Justice of the Peace.